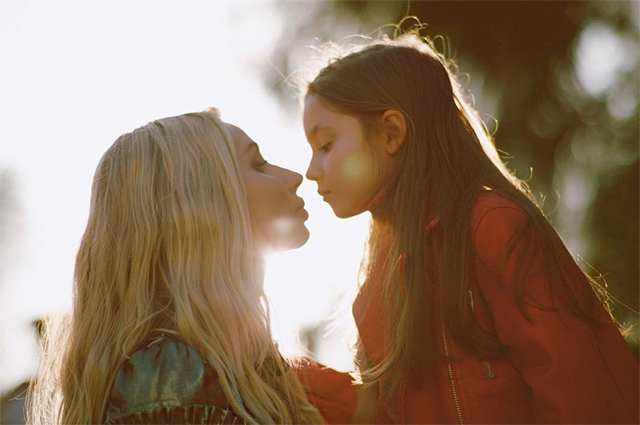 After months of speculation about who is the father of her youngest daughter, Svetlana Loboda continues to intrigue fans! In a recent interview with HELLO! 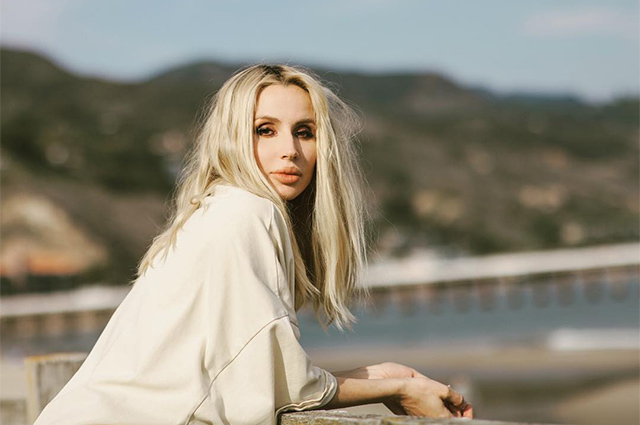 The 35-year-old singer frankly told both about her daughter and about her relationship with Rammstein's 55-year-old soloist Till Lindemann, who has long been rumored to be a father of Loboda's child. Svetlana Loboda for a long time hid her second pregnancy (even many of the close circle of the artist did not know!). And after the birth of her youngest daughter was in no hurry to disclose to the public her name. But at last the mystery ceased to be a secret: it's Tilda! "I really liked that name, and it was very symbolic. Tilda's name is very strong, beautiful, and symbolic. When she was born, I looked at her and realized that she was like Tilda. She can not have a different name, it suits her perfectly. She is a bit like the heroine of Scandinavian fairy tales. Eyes, facial features, very meaningful, interesting look. 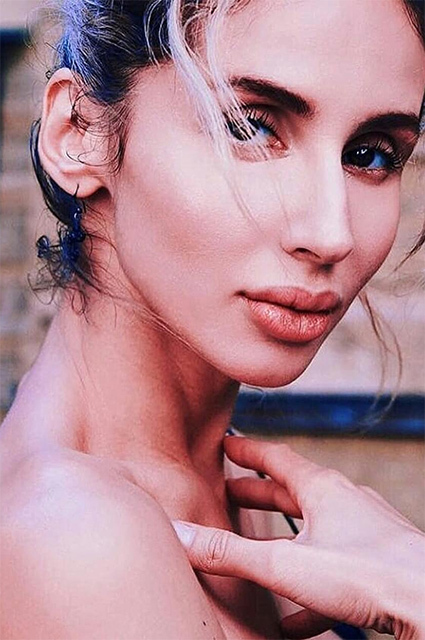 She looks like a cartoon character", - tells Loboda about her daughter. And adds that Tilda is more like her father than her: "There is will power in her. Energy. And sadness in the eyes". Tilda's name is very similar to the name of the soloist of the Rammstein Till Lindemann, who is, in the opinion of many, the father of the child. This affair started last summer, when tender photos of the couple made at the festival "Heat" in Baku hit the web: Till was clearly fascinated by Svetlana, who stirred his imagination in a couple of days. Not surprisingly, when it became known about Loboda's pregnancy, the press immediately called German artist a father. Now, after such an unambiguous name chosen for the daughter, rumors multiply: Tilda is named after the father, Internet users are sure. "It seems to me that any woman wants Till to be a father of her child. I can say that he is an amazing man and just an incredible person. The whole world knows him as a singer. And it seems to me that the fact that my daughter's name is Tilda is already a big carte blanche in life". "He is very caring. Incredibly talented. It seems to me that any person appears in our lives to teach us something. We must try to find all possible options in order to study people who are close and dear, to learn from them. Especially if they are older than you". "You know, I still can not realize that I am the mother of two children. It was a miracle, a gift of fate ... My oldest daughter Eva (from her marriage to choreographer and dancer Andrew King -. Ed. ) now seven years old, and I had forgotten how it is when a child is born, it is necessary to remember all over again. I haven't really slept in weeks: baby has colic. Close people persuade to switch to artificial feeding, but I'm against it. I will do this as long as possible". "But all pass through this, we are not the first. Cope. But we have such a new miracle. Is not this happiness?" 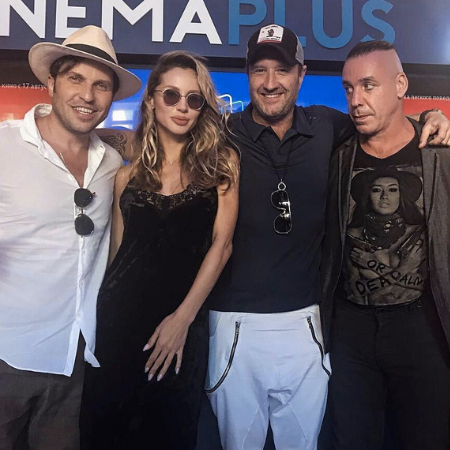 It's interesting that Loboda also has time to lead a secular life - she visited several events at the World Cup 2018, making the guests happy with her performances.